Dave Winfield is a former MLB outfielder who played for the San Diego Padres, New York Yankees, California Angels, Toronto Blue Jays, Minnesota Twins and Cleveland Indians. He is currently Executive Vice President of the San Diego Padres and an analyst for the ESPN program Baseball Tonight. In 2004, ESPN named him the third-best all-around athlete of all time in any sport. He is a member of both the College and Baseball Hall of Fame. Playing Field Promotions is a booking agent for motivational sports speakers and celebrities. 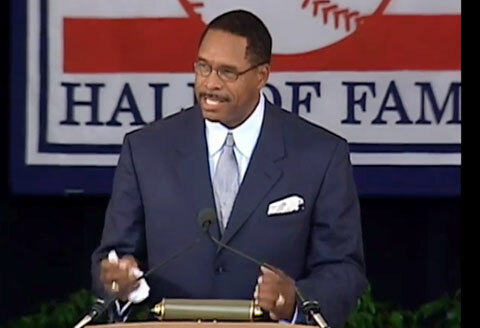 If you would like to book Dave Winfield for a speaking engagement or personal appearance, contact Dave Winfield’s booking agent for appearance & speaker fees at 1.800.966.1380.